Powerful and top all-in-one utility to fix, speed up, maintain and protect your PC. 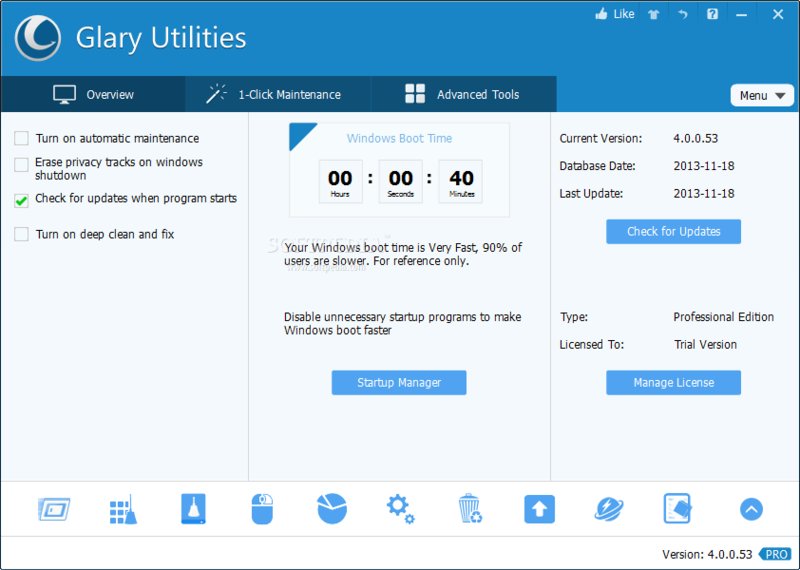 Glary Utilities PRO is a powerful and top all-in-one utility to fix, speed up, maintain and protect your PC. It optimizes the performahttps://www.softwaresales.us/avira-system-speedup-pronce of your computer, solves problems, protect your privacy and helps you to customize your system to suit your needs. Protect your privacy and security. Block spyware, trojans, adware, etc.